When it comes to running a successful business, we all plan for the good times. From adding dishes to your menu, to hosting event nights or refurbishing the entire venue, there are many ways you can keep your business booming and ensure customers keep coming back. But some things can’t be predicted and can cause you to lose business. Having an insurance policy in place will help you prepare for the unexpected. We all know how unpredictable the weather can be in the UK. One minute the sun is shining, the next the heavens have opened. Floods are not uncommon in parts of the UK, with 5 million people living in a flood risk area. And the annual cost of flood damage in the UK is a staggering £1.1bn in England alone. 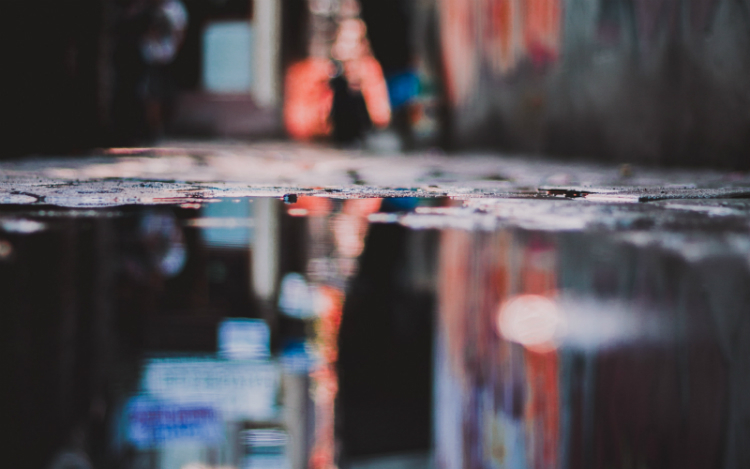 Statistics show that around 40% of businesses do not reopen after suffering a catastrophic loss, such as extensive water damage and stock loss due to flooding. Having an insurance policy in place that protects both your premises and your stock is essential if you live near a flood risk area. The insurance policy will cover the repairs needed to get you back up and running, as well as ensuring you can purchase new stock, from beer to food. Find out if you live near a flood risk area here. Other weather related damages can include fallen trees, broken windows due to high winds and damaged roofs. Any building that has a kitchen is susceptible to fire damage. A faulty wire on the kettle or oil spitting from a frying pan can cause a fire. Fire extinguishers, proper staff training and regular maintenance can reduce the risk of fires, but it is always worth having a savings pot and an insurance policy in place to ensure you can get back on your feet in the event of fire damage. Statistics from the London Fire Brigade show that 25% of fires in restaurants are caused by kitchen appliances, 23% by the cooker and 17% by electrical distribution. Restaurants, cafes and other food service venues are hot targets for thieves. Cash filled tills and expensive kitchen equipment and knives might look like easy targets to petty criminals. Carrying out routine checks and the end of a shift, such as closing and locking windows, locking all doors and installing a shutter, are quick wins when deterring burglars. But for that extra piece of mind you can take out an insurance policy that covers you against theft, whether you’re a small café or bustling restaurant. Looking for more information on insurance? Visit our guide to choosing the best restaurant and pub insurance policy for more advice. Getting comprehensive restaurant or pub insurance can help your business survive through unforeseen circumstances. Most policies help cover legal costs too, so you can get on with managing your business, without worrying about finances.